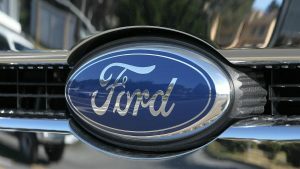 Ford Motor (NYSE:F) is reportedly making plans to cut about 10 percent of its workforce around the world. Worldwide, the company employs about 200,000 people, so 10 percent comes out to about 20,000 potentially lost jobs. The cuts are part of a previously announced plan to slash costs by $3 billion, made when the company reported first-quarter earnings April 27. Ford’s cuts will involve primarily salaried workers in North America and Asia, according to a source familiar with the plan. The source said Ford plans to offer generous early retirement incentives to reduce its salaried headcount by Oct. 1. According to the source, Ford does not plan cuts to its hourly workforce or its production. The move may put the company at odds with the current administration. President Donald Trump has made boosting auto employment a top priority. During his election campaign, President Trump was highly critical of the auto industry’s use of Mexican plants to produce vehicles for the U.S. market. In January, criticism from Trump prompted Ford to scrap plans to build a $1.6 billion car factory in Mexico and resulted in the company adding 700 jobs in Michigan. In March, Ford announced it would invest $1.2 billion in three Michigan facilities and create 130 new jobs. However, it said those plans were part of a previous agreement reached with the United Auto Workers union. Ford’s stock is lagging near a five-year low. The stock is down 36 percent since CEO Mark Fields took over in July 2014. Ford shares have fallen 9.8 percent this year versus the 7.3 percent gain for the S&P 500.